After tackling the review of the Disney Infinity Starter Pack, I was able to dive into the additional Play Sets available for purchase when the game launched. This includes The Lone Ranger and Cars Play Sets, with two distinctly different setups. I was hesitant at first about the originality of these two adventures, considering both are set in barren, Southwestern deserts with canyons and cacti sprinkled all over the place. Surprisingly, each plays completely different. 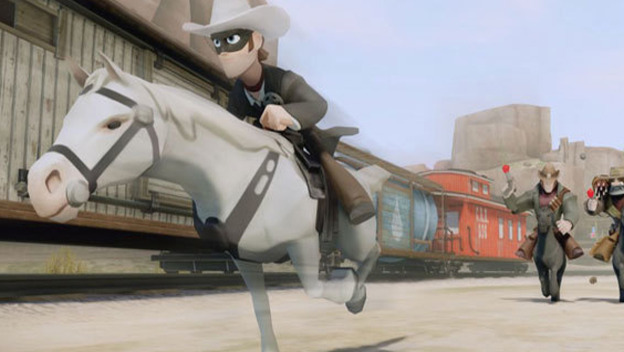 Cars focuses on racing and stunts, while The Lone Ranger is classic Wild West action. However, like the Play Sets in the Starter Pack, many gameplay elements are similar and redundant, making the additional Play Sets a little light for the price you pay. Out of all the Play Sets, Cars is by far the one most geared towards a younger audience. Though the box recommends ages 6+, toddlers could easily dive into Cars and manage their way around the town. Radiator Springs is full of open plains and smooth crags to drive through, and with the entire zone unlocked from the start, there are plenty of places to explore. Missions are either races or simple fetch quests, most of which can be completed in under two minutes. None are particularly memorable, and there's very little connection between them. Even the final mission will have you scratching your head, wondering at the events that led up to it. As you progress, you'll unlock upgrades to purchase in the Toy Store. Tow chains, speed boosts, and new buildings in the town are what you'll spend your easily earned coins on. 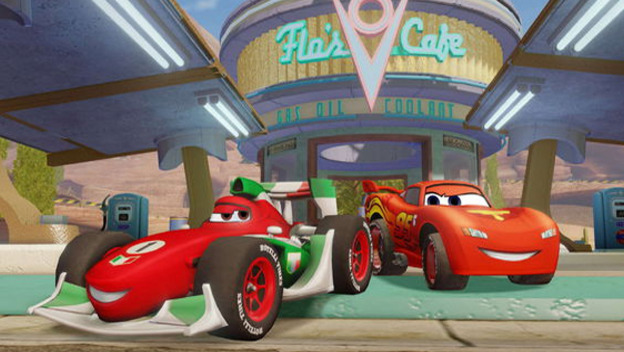 Unfortunately, none of the four characters have any exclusive skills, so Mater is just as fast as Francesco, and everyone has the ability to tow. However, once purchased, the upgrades become available for every vehicle, even in the Toy Box. The buildings in Radiator Springs can only be placed in a few set locations, with some used to customize the tiny tourist vehicles, while others can transform for stunt tricks. Spaced so closely together, it's hard to create a feasible stunt course. Of course, there is more flexibility in the Toy Box mode, but it would have been nice if the buildings served more of a purpose in the Play Set. Tucked away in the corner of the area, you'll find the real racecourses as well as a "skate" park filled with ramps, half-pipes, and rails to grind on. The races all follow the Challenges format, with three difficulty levels for each. However, there isn't much depth to the races themselves. If you can get out in front early, it's pretty much a smooth ride for the rest of the laps. This is also true for the battle races, where you're outfitted with C.H.R.O.M.E. weapons like missiles and chain guns. If you can stretch the distance between yourself and the rest of the pack, they'll continue blasting each other while you coast to the finish line. It's a shame that you can only use the weapons during specific matches and not while roaming around Radiator Springs. The Cars Play Set takes longer to clear than the others, but that's mostly because of all the races you'll take part in. Yet the races are too simple and repetitive to have a lasting appeal, and you'll more likely take your new track toys to the Toy Box where you can make some truly insane courses. After ten hours of mindless racing in the Cars Play Set, taking control of human characters in The Lone Ranger was a welcome change. The titular hero and his sidekick Tonto are the only two characters for the Play Set, so no additional figurines are required to unlock everything in the town of Colby and the surrounding wild lands of the Old West. Most of the quest givers are recruiting for their own goals, but unlike Cars, there is a semblance of an overarching storyline here. A band of merciless outlaws led by Butch Cavendish has taken control of the area, and it's your job to clear them out and bring peace and law back to the area. You'll immediately get to test out your attack skills, taking on a small group of bandits trying to destroy the buildings in Colby. Each hero has a different method of attack. Tonto hurls his damage-heavy Tomahawk at enemies, while The Lone Ranger unloads a swift round of bullets from his six-shooter. But don't worry parents; remember, this is a Disney game. To keep an E rating, firearms shoot corks, bad guys break apart like LEGO characters, and not a drop of blood gets spilled. Combat is actually downplayed more here than in The Incredibles Play Set, and as a result, you'll spend more time riding around on Silver than you will shooting down bad guys. On horseback, you can cover the entire perimeter of the decent-sized zone in under three minutes, but there are lots of nooks and crannies to explore, with plenty of red and green capsules to bust open. There are a handful of different horses to unlock and purchase, but the thunder stallion is your ultimate mount. This mystical, spectral-looking stallion brightens up the night sky and leaves a trail of light as it gallops along. It is by far the coolest way to travel in any Play Set. If you prefer to fly, one of the first things you should track down (after building the bridges to unlock the entire area), are the five crow shrines. This allows you to purchase the Crow Pack from the Toy Store and gain the ability to transform into the black bird, able to fly anywhere. Don't waste energy scaling buildings and mountains beforehand to collect capsules, as this upgrade makes it insanely easy to grab everything. Also, the Crow Pack becomes accessible in the Toy Box, allowing you to easily navigate your custom creations. The other way to travel in The Lone Ranger is by train. This customizable vehicle will continuously make its way around the entire area, and with the appropriate supply cars added on, it can pick up goods needed for completing quests. Riding horseback alongside the train, jumping onto one of the cars, and taking aim at bandits or the target Challenges with either the chain gun or cannon (don't worry, they shoot rubber balls) is one of the more fun diversions in the Play Set. It would have been nice if the supplies served more of a purpose, like for repairing or even upgrading the buildings of the town and having those buildings offer rewards, buffs, or even minigames. Instead, a single button-press will completely rebuild a blown-up building in an instant, and they serve absolutely no purpose. Only a costume carriage (not even a building) serves a purpose, used to customize the townsfolk. Like in Cars, the missions are quick to complete and not very memorable, and the Challenges (though more fun than Cars) are not very difficult. The useful toys and tools, however, make this a more exciting purchase for Toy Box enthusiasts. Toy Story in Space is the next confirmed Play Set, which will be released in October. The box contains Buzz Lightyear, Jessie, and a space-setting piece with a campaign to defeat the evil Emperor Zurg. Woody completes the cast of playable characters, but he must be purchased separately. We can probably expect the gameplay to be similar to the current Play Sets. I'm excited to unlock the space toys to create some out-of-this-world Toy Box creations, but that doesn't say much about the Play Set itself, does it? The content in the Play Sets are fine for the young audience Disney Infinity is targeting, but a little bit more depth could make the Play Sets enjoyable for everyone to play. 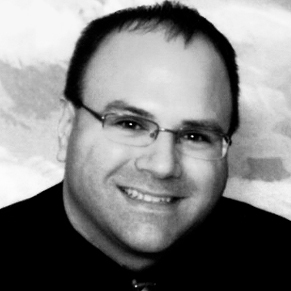 The game is just getting off the ground, and it has long future ahead of it, so hopefully the Play Sets will evolve as the game grows.